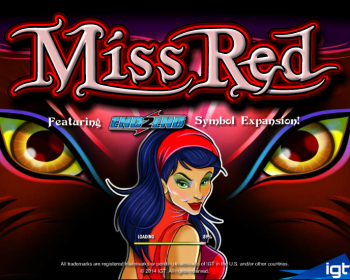 Miss Red slot is a video slot game based loosely on the tale of Little Red Riding Hood. 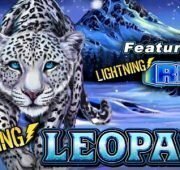 This 5-reel video slot does away with traditional paylines and introduces you to 1,024 winning ways and any adjacent symbols are more than suitable for a winning combination. 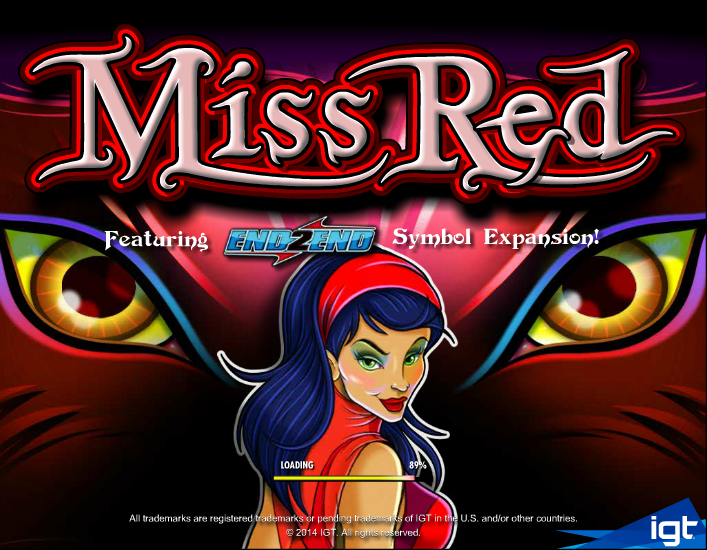 Miss Red slot is a video slot game based loosely on the tale of Little Red Riding Hood. 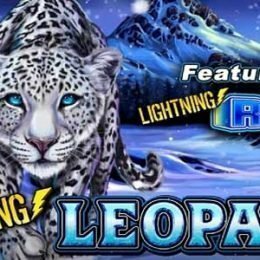 This 5-reel video slot does away with traditional paylines and introduces you to 1,024 winning ways and any adjacent symbols are more than suitable for a winning combination. 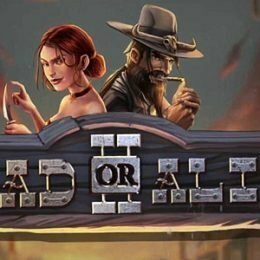 The real treat in Miss Red is the truly unique End2End feature. The Wolf and Miss Red are both expanding symbols. Any symbol caught in between 2 Wolves will be automatically turned into a wolf unless it is Miss Red, and then the symbol will be turned into the Wolf-Little Red Symbol, and the same applies to all symbols caught between 2 Miss Red symbols. When a transformation occurs over a symbol that is part of a winning combination, the original win is awarded, and any other win that occurs as a result of the transformation is also awarded. 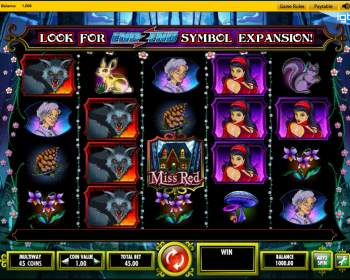 The Wolf-Little Red symbols are essentially shifting wild icons, but substitute only Miss Red and Wolf symbols on the reels. 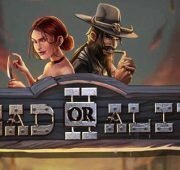 Bonus features during the base game are all the rage at the moment, but IGT has opted to throw in an additional feature round too, in the form of Granny’s Free Spins. 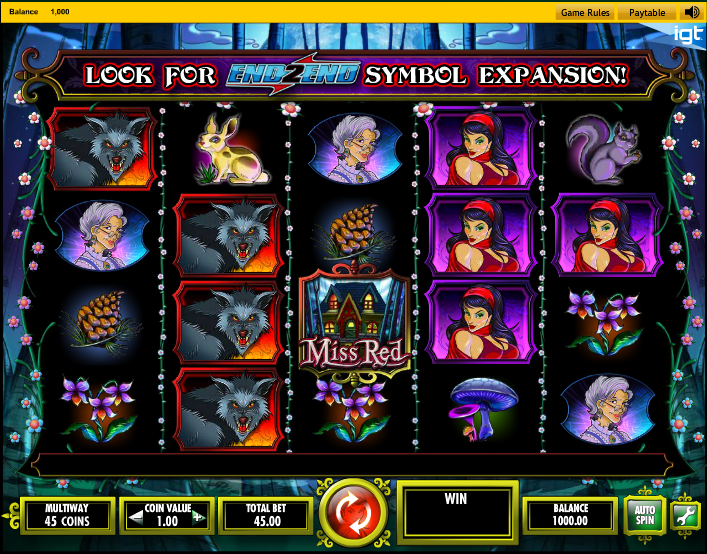 You will trigger Granny’s Free Spins Bonus event by getting 3 Miss Red Cottage symbols on the reels. This bonus symbol only appears on reels 2, 3, and 4. 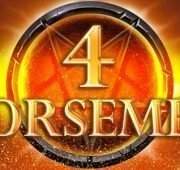 You will then be asked to choose a Basket that will determine your initial free spins amount, which could be anything between 5 and 15. 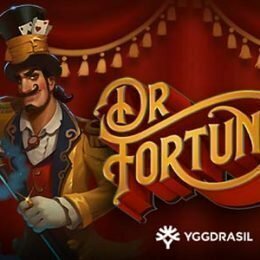 Free Spins can be retriggered by getting 3+ Miss Red Cottages. 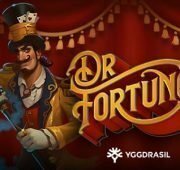 You can keep on retriggering the Free Spins Bonus, earning up to 280 spins!